Welcome to Metroderm DC, located in downtown Washington, DC. 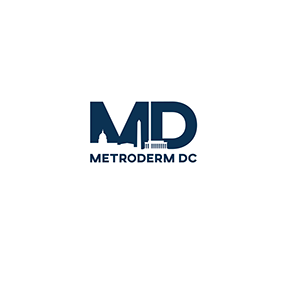 Metroderm DC is a comprehensive dermatology center, providing a full range of medical, surgical and cosmetic dermatology services. Our board-certified dermatologists Edward H. Stolar, M.D., Todd E. Perkins, M.D. and, Saurabh Singh, M.D. provide patients with the most up-to-date medical care. All of our physicians have extensive experience with all aspects of medical, surgical and cosmetic dermatology needs. Ebony Ruffin, is our Aesthetician for cosmetic skincare, with over 10 years for experience in facial rejuvenation and corrective treatments. She specializes in advanced aesthetic and anti aging treatments such as corrective chemical peels and laser treatments. At MetrodemDC she will also be offering Dermal Infusion / Silk Peels as well as radio-frequency treatments for skin tightening, acne scarring and body contouring. Ebony is devoted to finding the most effective technologies and treatments available to ensure the best possible results for our patients. Her goal is to provide immediate and long-term corrective solutions for all skin concerns.